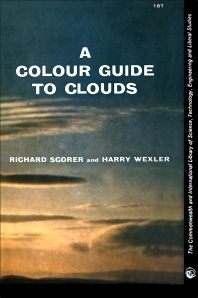 A Colour Guide to Clouds contains 48 pictures that illustrate the most important cloud making processes. These pictures provide insights into the mode of formation of almost every cloud. This book is composed of six sections, and begins with an introduction to cloud name identification and the importance of clouds in the circumstances in which they occur. The succeeding sections deal with the major cloud names, namely, cumulus, cirrus, nimbus, and stratus. These topics are followed by illustrations of various cloud forms, the low pressure area of clouds, as well as ice clouds. The final chapters contain text and colored plates of different cloud forms. This book will prove useful to meteorologists, naturalists, and cloud scientists and researchers.